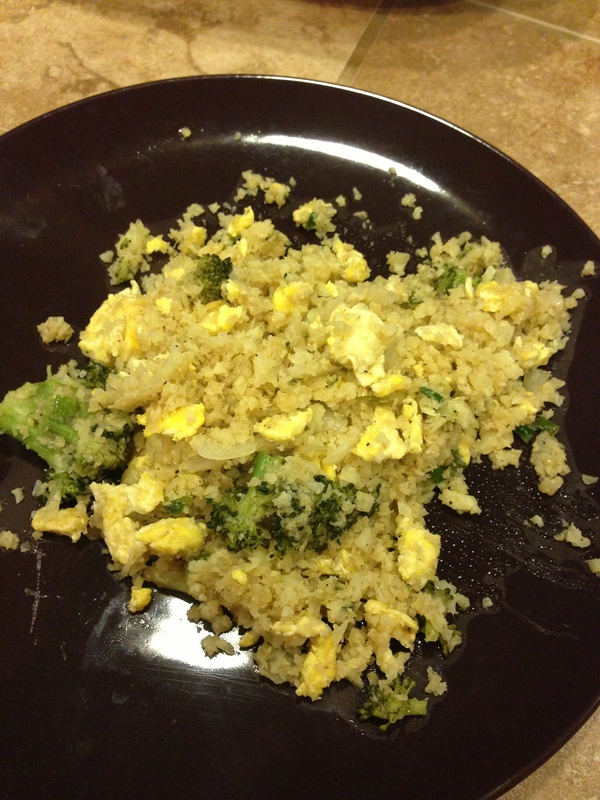 For a while now, I’ve heard about cauliflower fried rice and always wondered how cauliflower could match the consistency of rice itself. 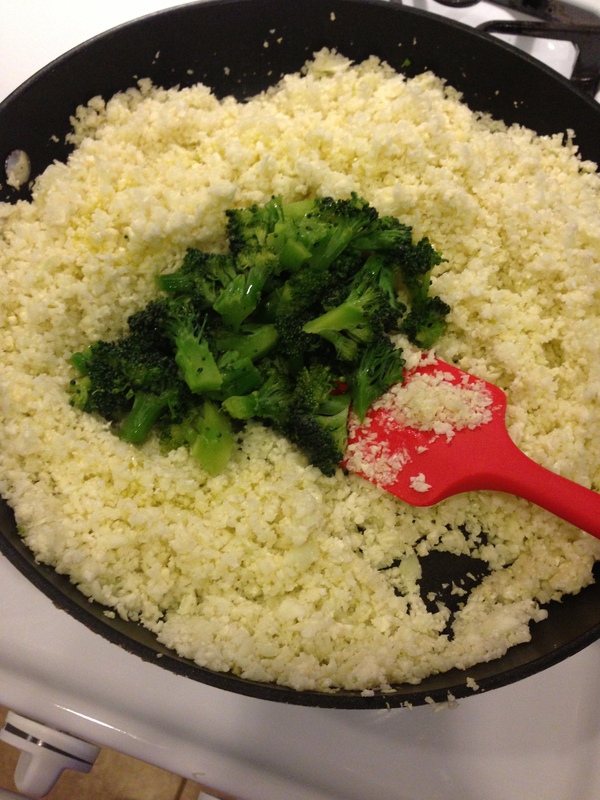 It wasn’t until I started the SCD and began experimenting with cauliflower more that I realized, strangely, it can take the place of rice and actually make you feel really full. 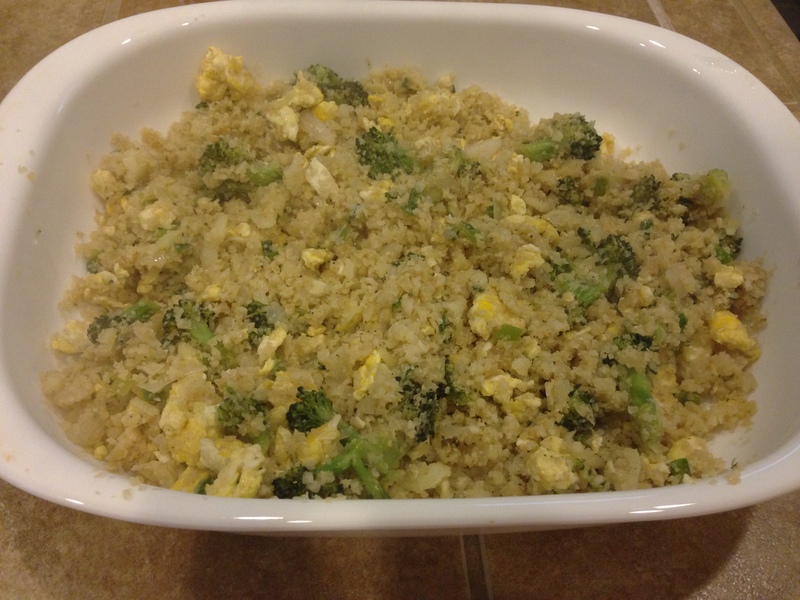 I saw a handful of recipes for cauliflower fried rice on Pinterest and adapted one of my own. 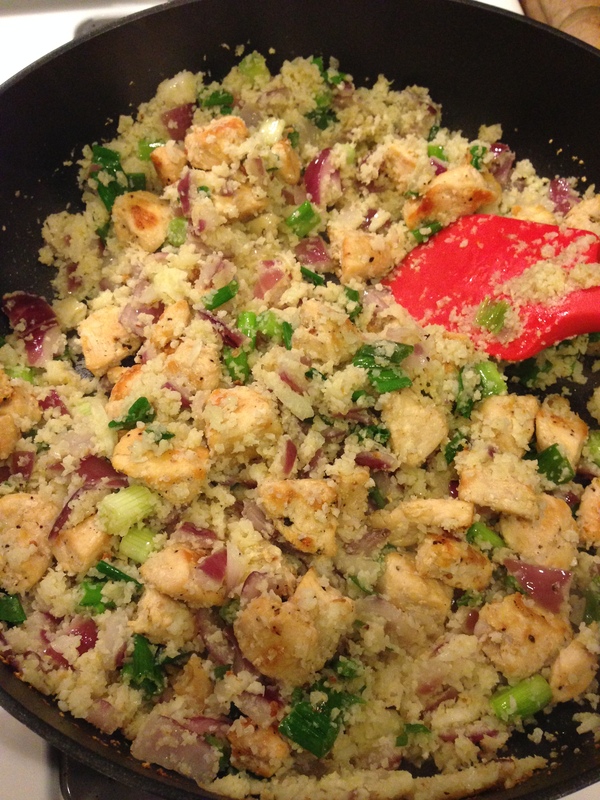 It’s a fairly easy recipe and took me 45 minutes to make, from start to finish. 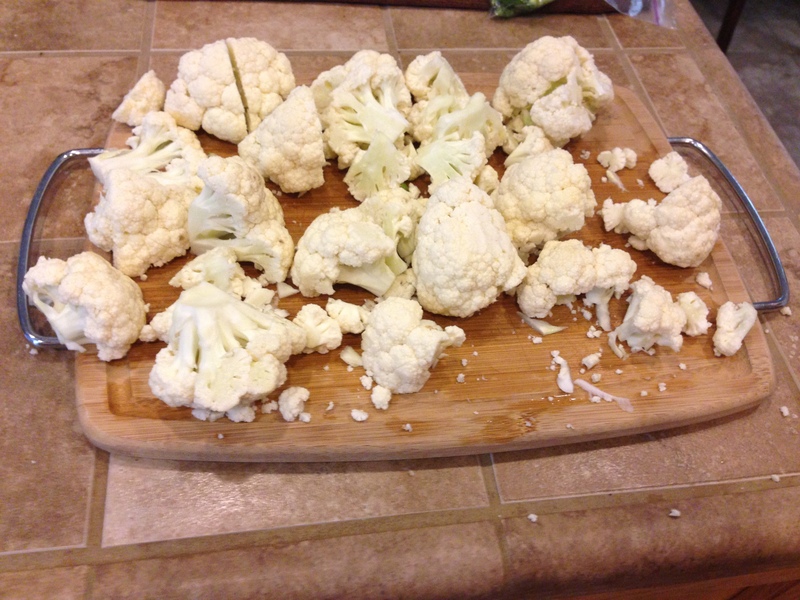 Get your cauliflower and take off all its leaves, discarding them. 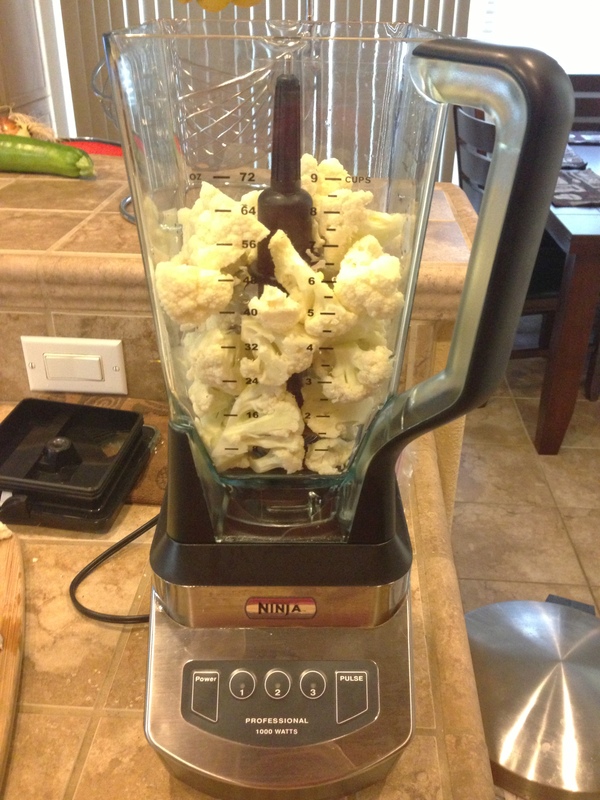 Rinse your cauliflower with water. 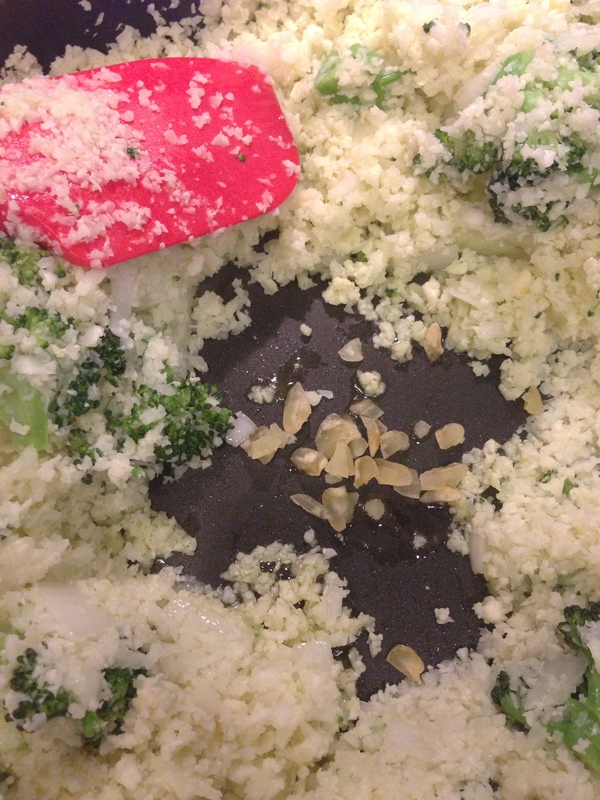 Cut your cauliflower in half and then, into small pieces, cutting and discarding the stems, so that it fits nicely in your food processor. 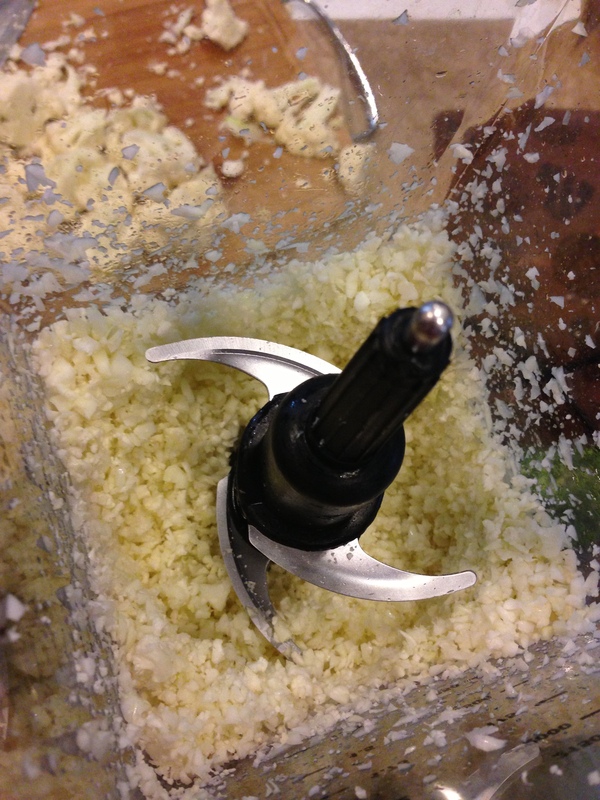 Place your cauliflower inside your food processor. I used my Ninja. 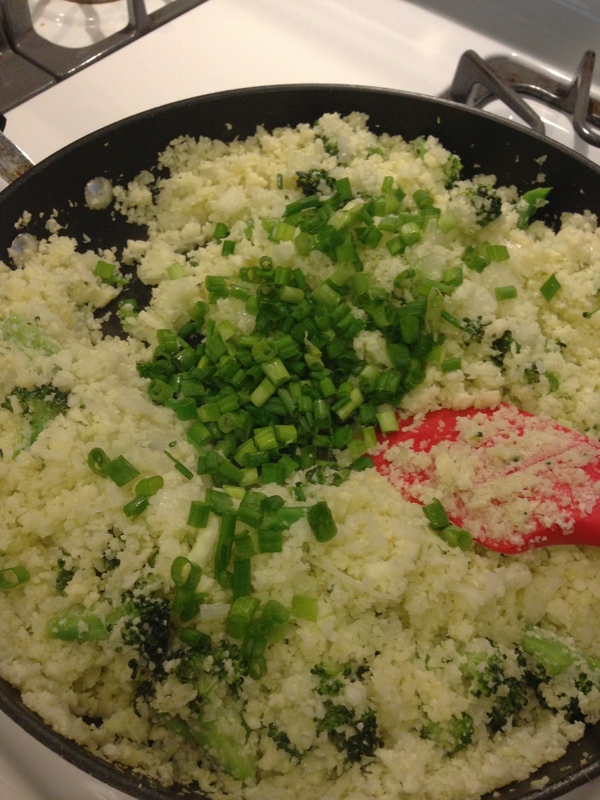 Pulse the cauliflower until it resembles tiny, rice like pieces. I pulsed mine into two batches, since I didn’t want to overflow my Ninja. 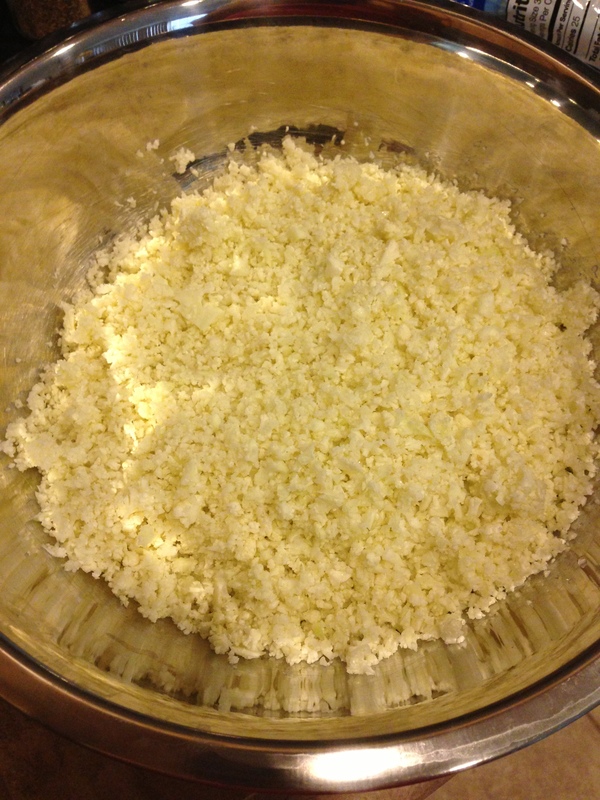 After pulsing (it took me about 3-4 pulses), remove the cauliflower and empty it into a bowl. 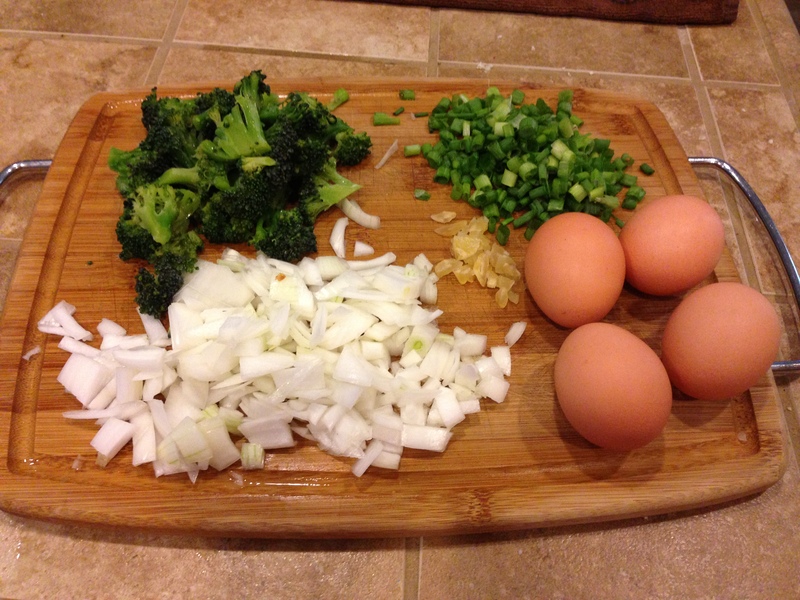 Now, chop up your onion, green onions garlic, broccoli, and set out your eggs. 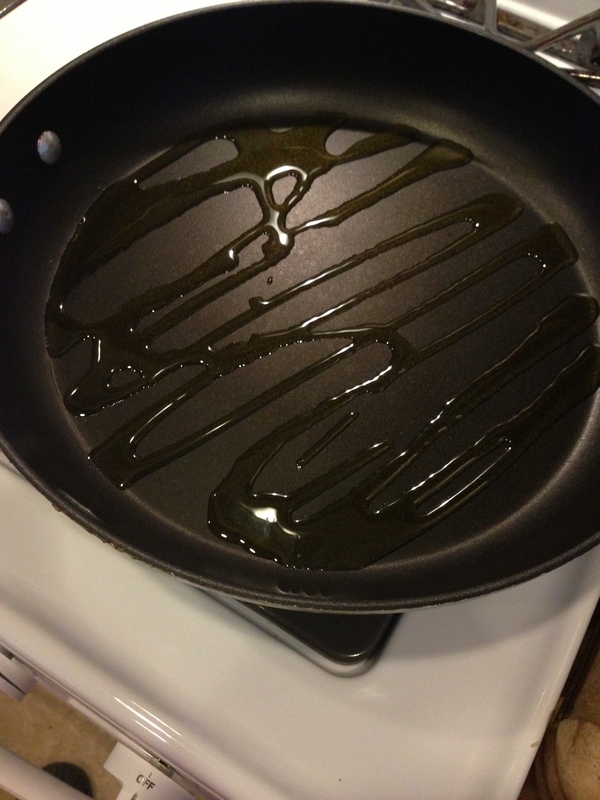 Drizzle a large nonstick pan with olive oil. 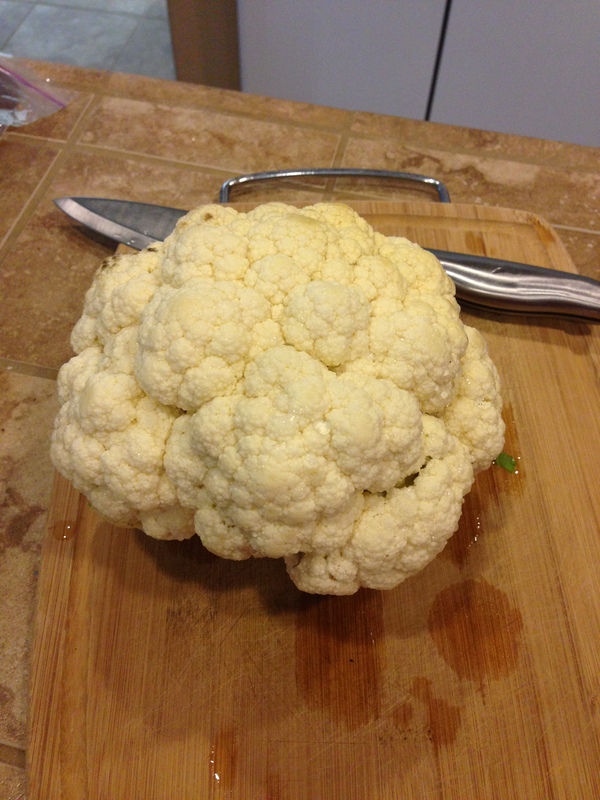 Saute your cauliflower for 10 minutes. 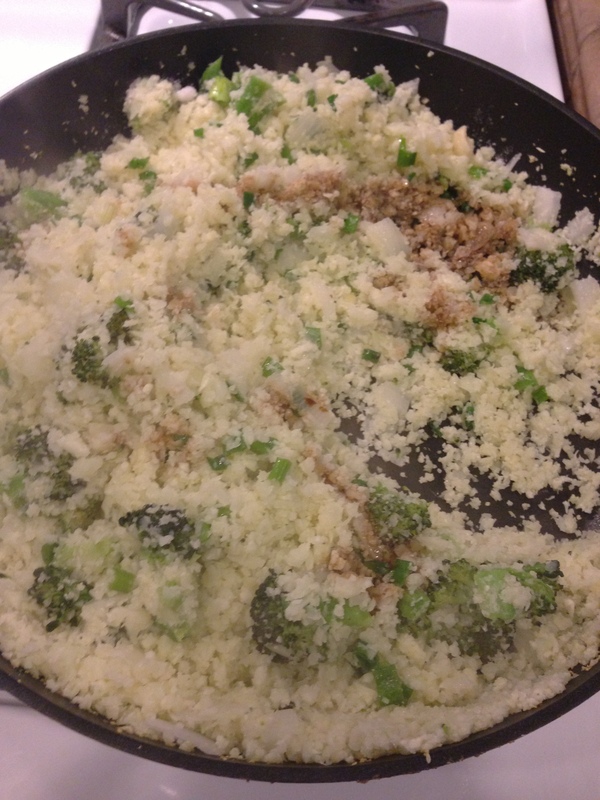 5 minutes into it, add your broccoli. 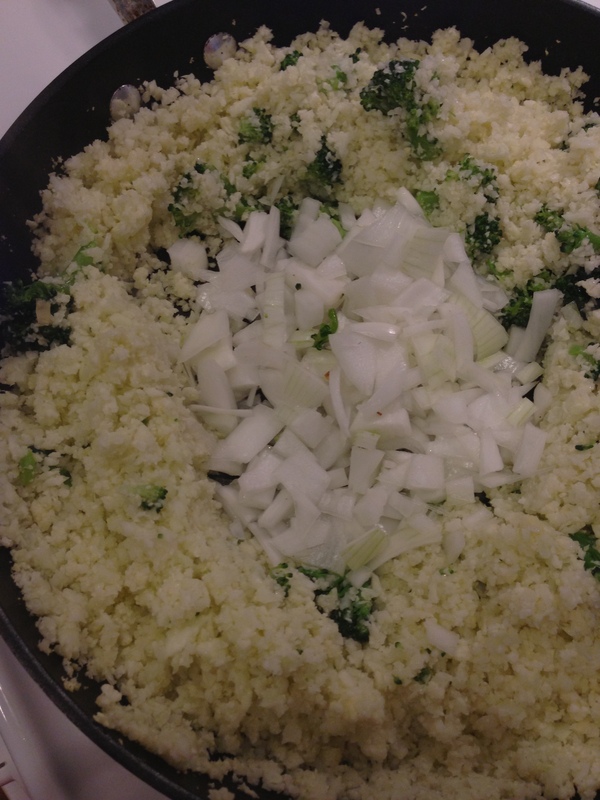 After the full 10 minutes has passed since you started sauteing the cauliflower, add your onions and cook until translucent. 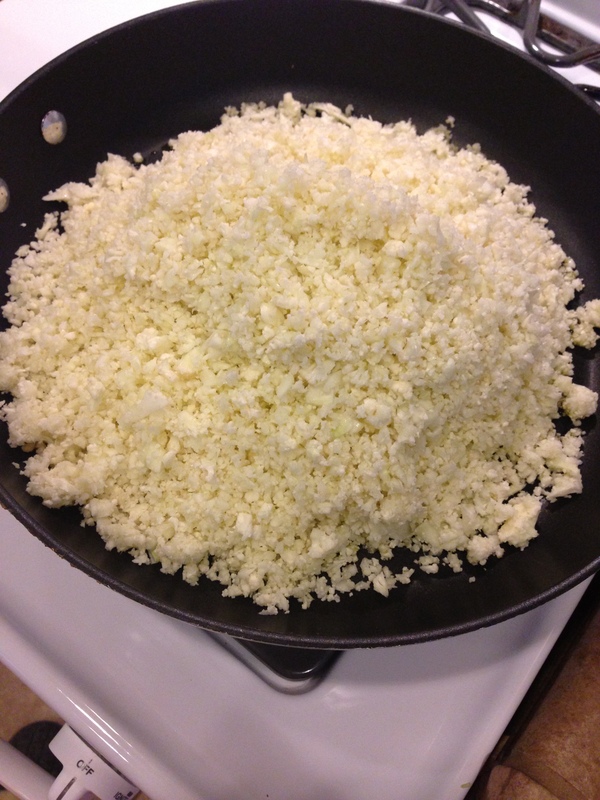 Add the coconut oil, wait a few seconds for it to melt, and start sauteing the garlic. 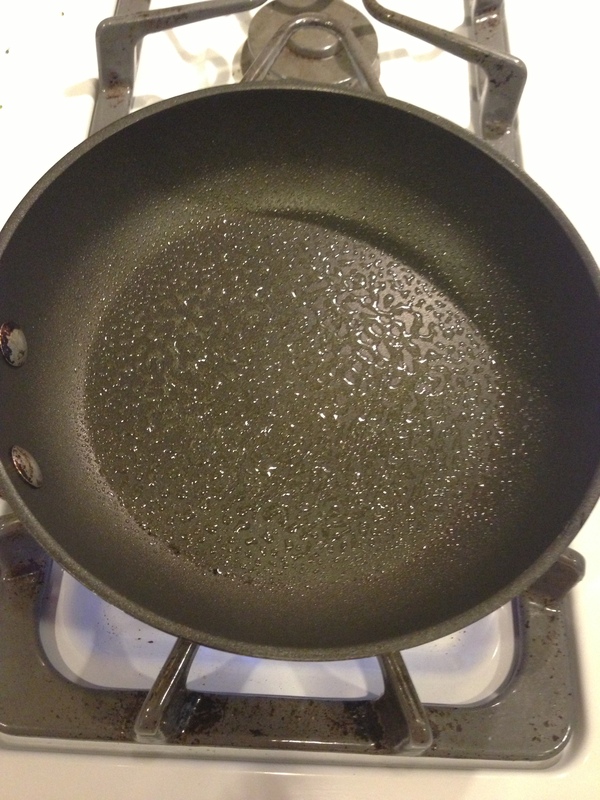 While the green onions are cooking, get a smaller nonstick pan for your eggs and spray with cooking oil. 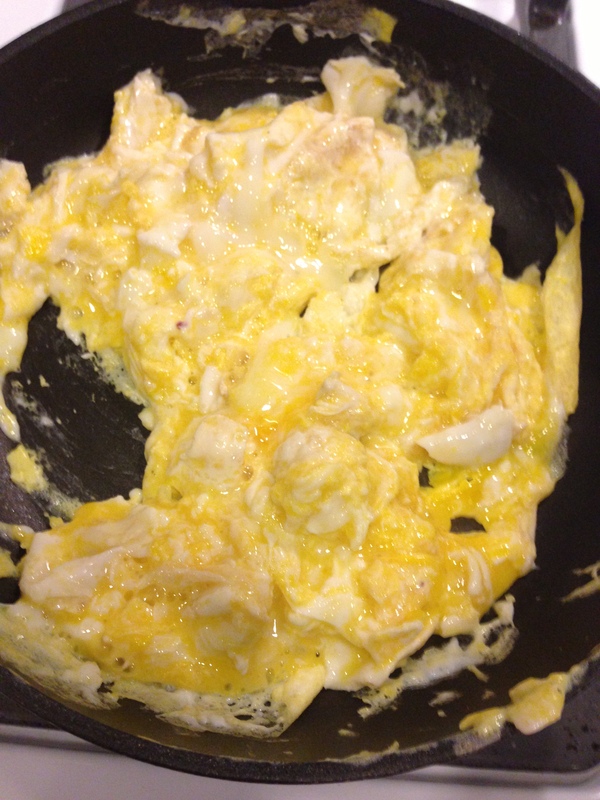 Crack your eggs inside the pan. 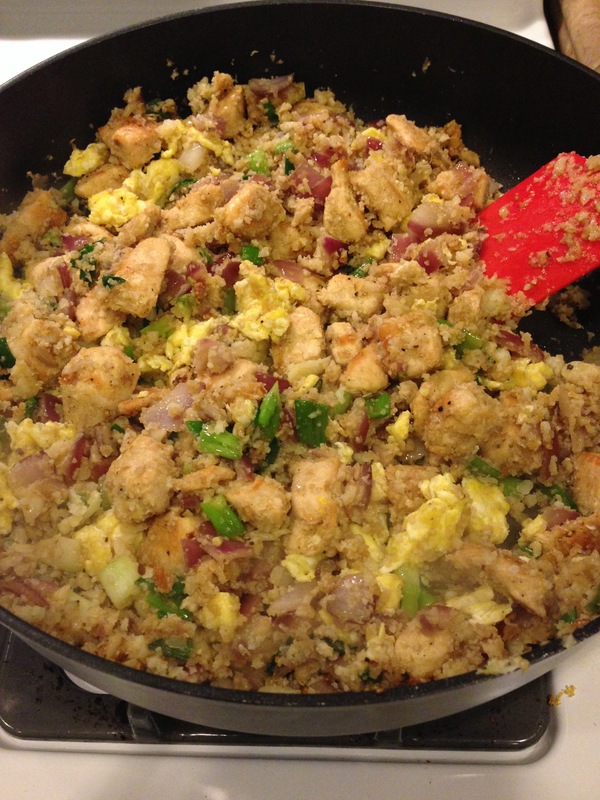 Start scrambling your eggs inside the pan. 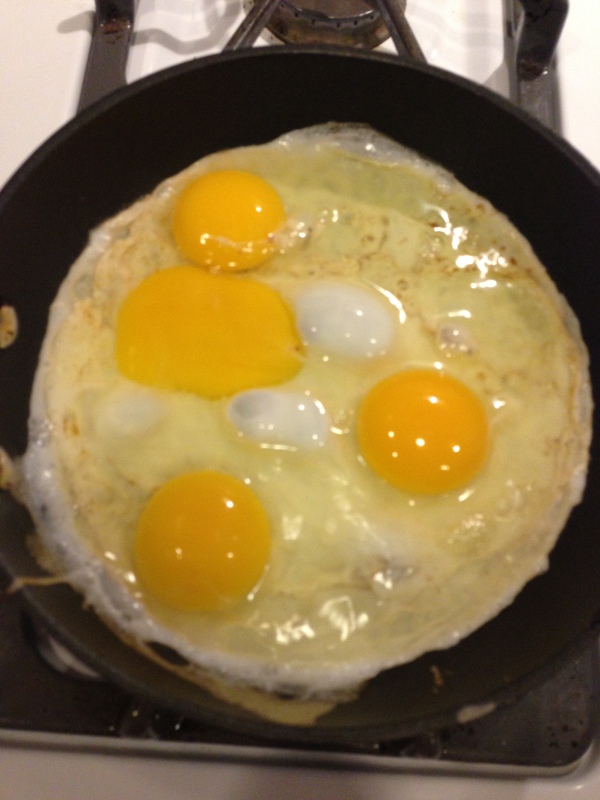 Once your eggs have scrambled, turn off the heat. 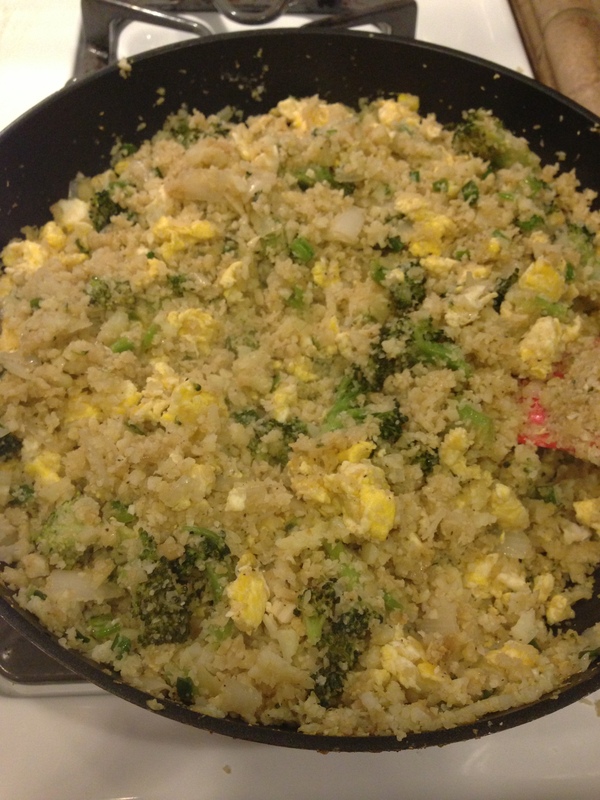 Add your soy sauce to the other pan with the cauliflower fried rice, as well as your Worcestershire sauce. Add salt and pepper, to taste. 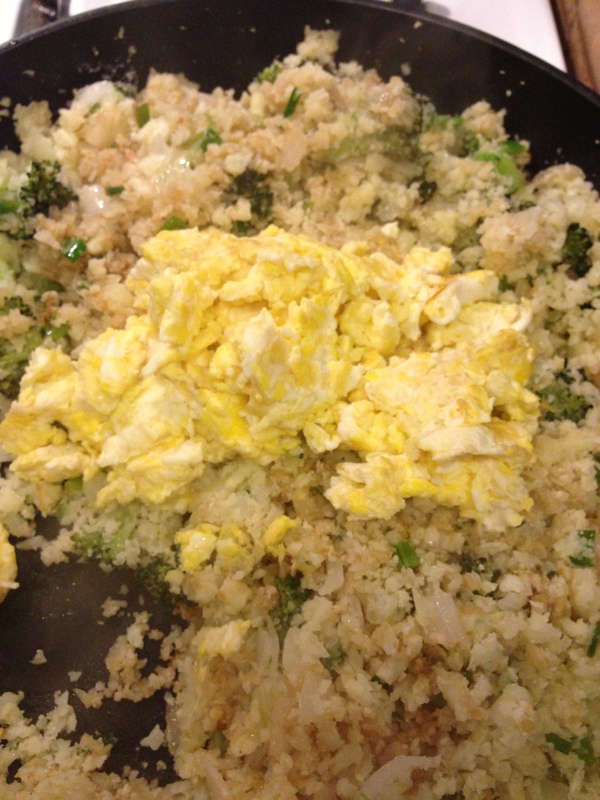 Add the eggs to the cauliflower fried rice. Now, go see how many people you can fool into thinking this is real rice!